Absolutely beautiful! 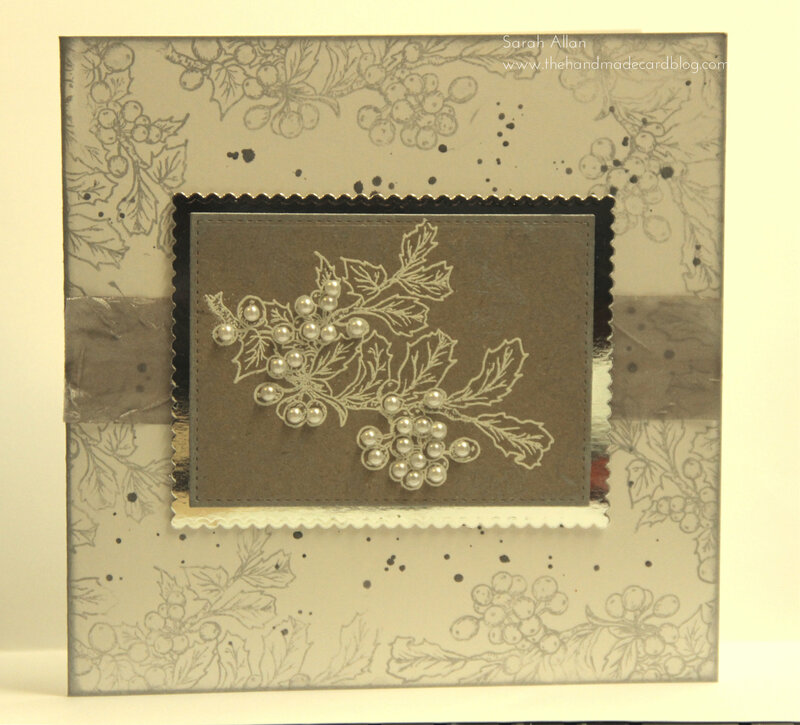 Has all the right elements – silver, white, berries, holly and romance. 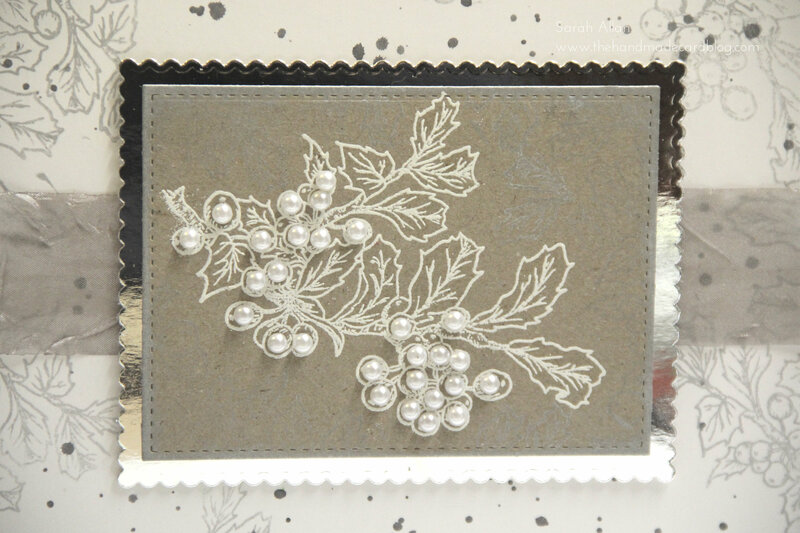 I really like the pearl holly berries. So pretty and simple! I love how elegant this card is. Although it has a little ‘bling’ going on, it’s tasteful and works really well.